Dr. Mary Ann Shallcross Smith, Ed.D. Known to most as “Dr. Day Care,” Mary Ann is very involved in the care and education that is provided each and every day to the children in her child care sites. She began her career as an early childhood and school age professional in 1972, when she started her home based day care in Lincoln, RI when her son was born. During her business career, she attended the Community College of Rhode Island, University of Rhode Island and Rhode Island College. She received her doctorate degree in Education (Ed.D. ), Leadership and Human Development Studies in 1995 from Nova Southeastern University. She is the leader of over 200 qualified, dedicated teachers and staff. She employs the very best teachers to educate and care for children. 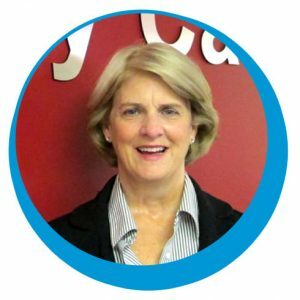 Dr. Shallcross Smith founded the group Rhode Island Business Owners of Child Care Association (BOCA) to advocate for child care and education with child care owners across the state. This group works with state regulatory agencies to help shape the future of the child care business in Rhode Island. By working together, child care owners can make a positive impact for the children in Rhode Island. 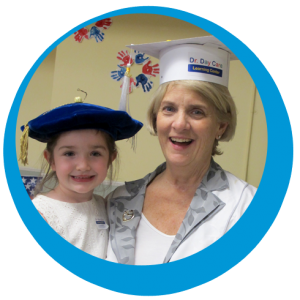 In 2015, Mary Ann wrote her first children’s book called Edgar Graduates, about the milestones a child achieves prior to preschool graduation and future educational opportunities. By valuing and talking about the possibility of continued education, it becomes more attainable for all children. Education is so important- it opens the door to many possibilities. Edgar Graduates will help families have conversations about educational options. We are proud to offer this book to each of our Preschool graduates as a special reminder of their time at Dr. Day Care. Dr. Shallcross Smith hosts a tv show, Women’s Business. This show is an informational Cox access television program geared to educating the public on issues that women face, because they are women, in their respective careers. Dr. Mary Ann Shallcross Smith and Amy Vogel interview guest speakers during this half hour program. The Women’s Business show is taped the last Tuesday of every month. There are 2 tapings – one at 9:30 and one at 10:00. If you are interested in being a guest on this show, please contact Rebecca Compton to discuss the date and time that works best for you. Dr. Shallcross Smith co-founded Kids Klub, a 501(c) 3 non-profit school age program, located in various schools throughout Rhode Island. She also manages Therapeutic Child Care Services (TCCS) program that provides the foundation for children to learn, socialize, and play alongside their typically developing peers. Dr. Day Care, Kids Klub, and the TCCS program are all managed and overseen by Child Care Consultants & Facilities Management. Every day, I know that all the children in my facility are getting excellent quality of care and education. The early childhood years are the foundation for all future graduates. I have worked to elevate the child care field through child assessments, portfolios, and a full educational curriculum. I strive to influence the Directors of my facilities to be successful in business and support them as they operate all the needs of a child care business. I understand the balance between family, friends, work, and continuing education. With over 40 years of experience in the early childhood profession, I respect the roles of my team. My passion is children. I constantly study child development and child behavior. I have traveled all over the world, visiting more than 63 countries staying in villages with families and experiencing and learning foreign culture and their ways of life. I also have a passion for studying child development and parent-child interactions, as it relates to how each country has their own unique way of raising kids! My travels have given me the opportunity to visit many schools and day care centers. I sincerely thank you for choosing Dr. Day Care as your choice for your child’s care and education. My teachers, staff and administrative team are honored to be a part of your child’s educational experience and a part of your family. You can contact me anytime at your convenience at drdaycare@drdaycare.com. Mary Ann Shallcross Smith, Ed.D.